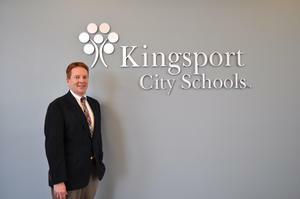 Published on April 12, 2019 @ 11:38 a.m.
KINGSPORT, Tenn. – Kingsport City Schools has announced its 2019 Principal, Supervisor and district-level Teachers of the Year. Dr. Stacy Edwards was named Principal of the Year and Jim Nash was named Supervisor of the Year. Teachers of the Year include, Dr. Cindy Shaddock(grades Pre-K–4), Karen Bear (grades 5–8), and Lafe Cook (grades 9–12). Dr. Stacy Edwards, Principal of Johnson Elementary School, has been named district Principal of the Year. 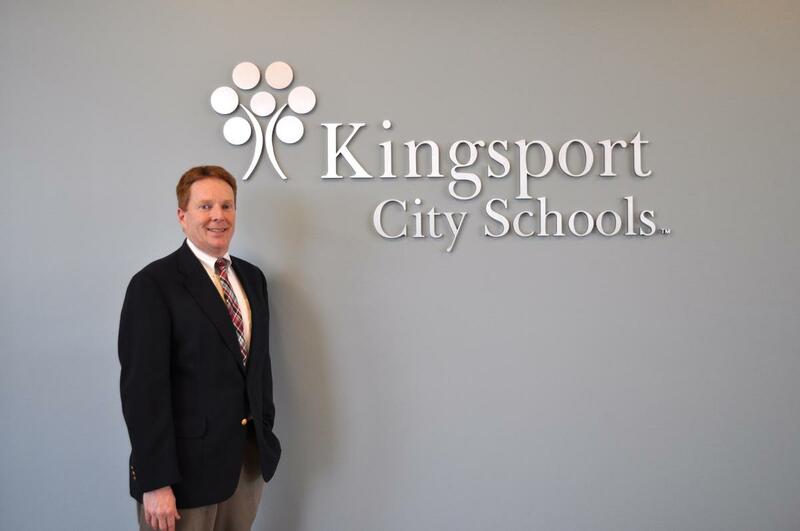 With the start of next school year, Dr. Edwards will begin his 22nd year as an educator with Kingsport City Schools, with seven years in his present position. Dr. Edwards has previously taught 3rd and 5th grade at Johnson Elementary School, and served as an assistant to the principal at both Johnson Elementary School and Sevier Middle School. Prior to serving as principal at Johnson, Dr. Edwards was principal at John F. Kennedy Elementary School. His most recent accomplishment is the completion of the community-built Castle Playground where over 1,000 community volunteers and over 50 sponsors participated and rebuilt the playground. Dr. Edwards holds an undergraduate degree from East Tennessee State University, a Master's degree from Cumberland University, an Educational Specialist degree from ETSU and a Doctoral degree from Lipscomb University. "We are truly blessed to have a leader the caliber of Dr. Edwards in our community," said KCS Superintendent Dr. Jeff Moorhouse. "His focus on providing the very best for the students and families of the Johnson Elementary community is evident in all that he does. He is the true definition of a servant leader." 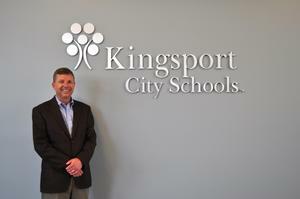 Jim Nash, Chief Student Services officer for Kingsport City Schools, has been named district Supervisor of the Year. Nash has a total of 24 years teaching experience, with four years in his present position. He has previously served as counselor and associate principal at John Sevier Middle School, assistant principal of Dobyns-Bennett High School, and principal at Ross N. Robinson Middle School. As Chief Student Services Officer, Nash oversees a variety of departments within Student Services including transportation, nursing, and attendance. Additionally he chairs committees such as the Safety Task Force, Chronic Absenteeism Committee, and School Zone Committee for the district while serving on a variety of committees with public agencies in the community. Nash holds an undergraduate and Master's degree from Tennessee Technological University and an Educational Specialist degree from the University of Tennessee. "For over two decades, Mr. Nash has provided an incredibly high caliber of leadership in a variety of roles, including school and district administrative positions," stated Moorhouse. "He sets the bar for what it means to be solutions focused. 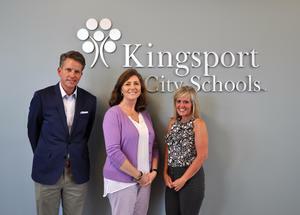 KCS and the entire Kingsport community benefits from his exemplary leadership." Dr. Cindy Shaddock, a 4th grade Teacher at Adams Elementary School, has been named the district winner for grades Pre-K–4. Dr. Shaddock has a total of eight years teaching experience, with six years in her present position. She is currently a 4th grade Literacy and Social Studies teacher at Adams Elementary and is a Leadership Team member. She was awarded the TCSSA Outstanding Elementary Teacher of the Year during the 2017-18 school year. Dr. Shaddock holds an undergraduate and a Master's degree from Milligan College, and a Doctoral degree from East Tennessee State University. "Cindy is well-deserving of this honor," said Adams Elementary School Principal Christy Free. "She is an exceptional teacher and leader in our district. She builds great relationships with her students and provides an engaging learning experience in her classroom. We are so proud to have her represent John Adams Elementary and the district." Karen Bear, a 6th grade English Language Arts Teacher at Sevier Middle School, has been named the district winner for grades 5–8. Bear has a total of ten years teaching experience. Currently, she is serving as a member of the School Improvement Team, Data Team, "Way of the Warrior" committee member and Leadership Team member. Bear was the recipient of the Middle School Teacher of the year in Sullivan County during the 2015-16 school year. She holds an undergraduate degree from King College, a Master's and an Educational Specialist degree from Union College. "Karen Bear is an outstanding teacher who puts students first in all she does," said Sevier Middle School Principal Dr. Holly Flora. "She is known for her compassion and her tireless commitment to supporting all students." Lafe Cook, the Dobyns-Bennett High School Band Director, has been named the district winner for grades 9-12. Cook has a total of 28 years teaching experience, with 22 in his present position. 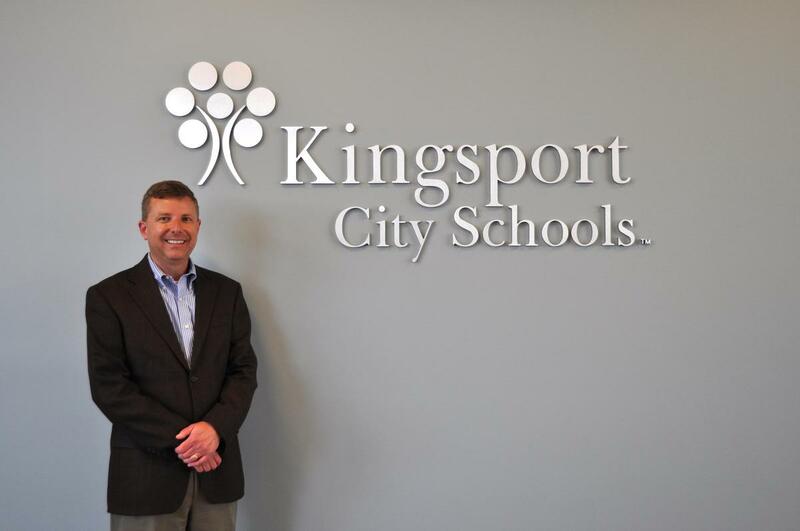 He is currently serving as a board of director for the National Bands Association, supervisor of Secondary Bands for Kingsport City Schools and the president of the Tennessee Music Education Association. Cook's most recent awards and recognitions include, Citation of Excellence, National Band Association (2018); Tennessee Music Education Association featured article in Tennessee Musician Magazine (2018); Bands of America, Marching Band AAA National Championship (2018); Tennessee Music Education Association featured article in Tennessee Musician Magazine (2019) and an invitation to the Pasadena Tournament of Roses Parade (2020). Cook holds an undergraduate degree from the University of Tennessee and a Master's from East Tennessee State University. "Mr. Cook's knowledge and leadership with instrumental music and performing arts have been key to the success of programs at Dobyns-Bennett," said Dobyns-Bennett High School Principal Dr. Chris Hampton. "Our band program has shown incredible growth in numbers and quality during his 22-year tenure as our director. All of his efforts led to a BOA National Championship in 2018 for the competitive marching band. Mr. Cook has built a model program for what high school band should be and it is an honor to have him represent Dobyns-Bennett as our 2019 KCS Teacher of the Year." 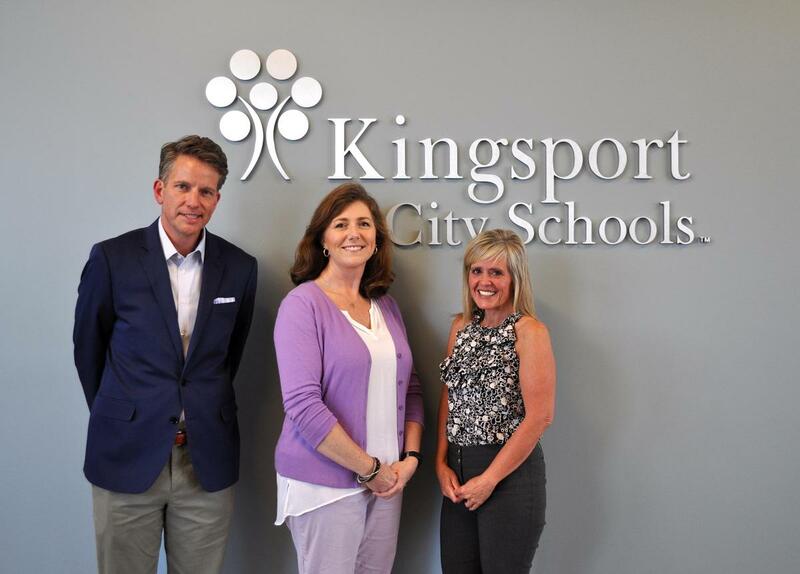 School and district-level winners were honored during the Kingsport Board of Education Meeting on Tuesday, April 9, 2019 at 6 p.m. The meeting was held at the Administrative Support Center, Tennessee Room, 400 Clichfield Street, downtown Kingsport.